Lusaka Mayor Miles Sampa has appealed to Lusaka residents to support the first ever Lusaka Music Festival slated for 27th October 2018 at Woodlands Stadium. Mayor Sampa observed that residents of Lusaka spend a lot of money going to watch foreign artistes but time has come to support their own. He was speaking during a media briefing today at Woodlands Stadium called to share with the media progress made on the preparations so far. 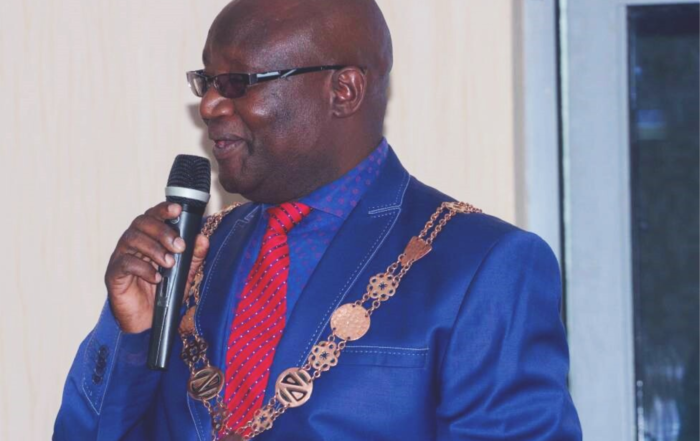 “Lusaka residents in particular and Zambians in general have been paying colossal sums of money to and foreign musician compared to local ones but time has come to support our own, ” he appealed. The Mayor disclosed that the committee has been working behind the scenes for the past two months and has achieved 90 per cent of the arrangements. He said the idea behind the Lusaka Music Festival is to promote local music and also raise funds to promote young talents, especially among vulnerable groups such as street children (kids). Mayor disclosed the festival will showcase live music as opposed to miming so that the young generation could be exposed to live music while folks will once again enjoy what they used to when they were growing up, adding that it will be an annual event organised around Independence week. “There will be no playing of “cassettes” in the background and then someone is miming – we want live music,” he said. Mr Sampa said the committee is targeting to raise about One Million Kwacha against the organising budget of about Four Hundred Thousand Kwacha. He appealed to the corporate world and individuals with financial or material capacity to come on board and sponsor the festival. And speaking at the same event, Lusaka Music Festival vice chairperson for media and publicity, Mupanga Mwanakatwe, thanked the Mayor for being there for the local musicians and his desire to development talent among vulnerable groups. Dr Mwanakatwe called for support by way of buying tickets to the festival and other forms of support.